Chandra Yonzon, Nepal Honorary Consul General, and many more distinguish guests were present at the event which was held at Dosa Hut, Footscray on September 3. 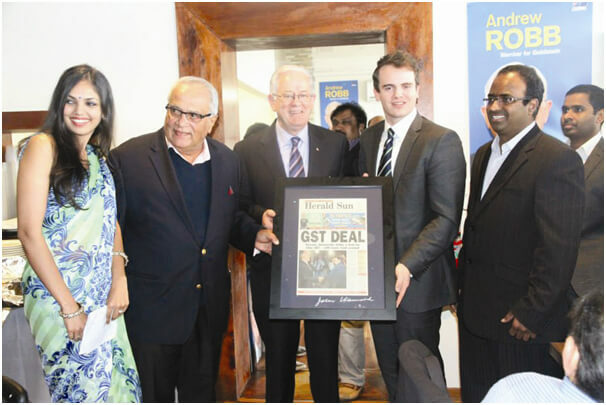 Rob, who has been contributing a lot for having free trade agreement between India and Australia was felicitated on his birthday. “ The Australia-India economic relationship has grown steadily in recent years and it is worthy to note that the two-way goods and services trade totalled $20.3 billion in 2011,” said Muthyala.